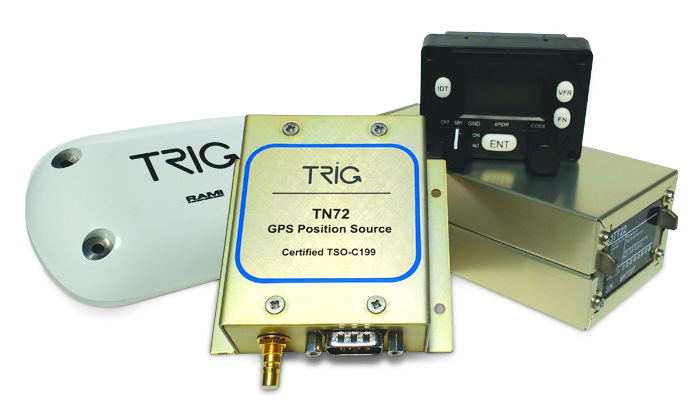 The TN72 GPS Position Source brings ADS-B Out capabilities to your Trig transponder. Light weight and easy to fit, the highly affordable TN72 uses certified technology making you visible to all ADS-B In traffic devices. Flying in busy skies with a TN72 will reduce your risk of collision and improve flight safety. In the U.S. the TN72 used as your ADS-B Out solution will trigger a full traffic service uplink – received using ADS-B In equipment. When using a TN72 there are two different ways to set up your Trig transponder (shown below). The TN72 hardware is the same in either installation. TN72 GPS – X configuration uses SIL 3 in the transponder settings, and fully satisfies the technical requirements of FAR 91.227 for 2020 compliance. Light-sport, experimental and homebuilt pilots who have fitted a TN72 are now flying inside ADS-B airspace and have passed FAA compliance checks with flying colours. TN72 GPS – TABS (Traffic Awareness Beacon System) configuration uses SIL 1 in the transponder settings. TABS is the FAA technical standard that enables voluntary equipage of ADS-B Out. 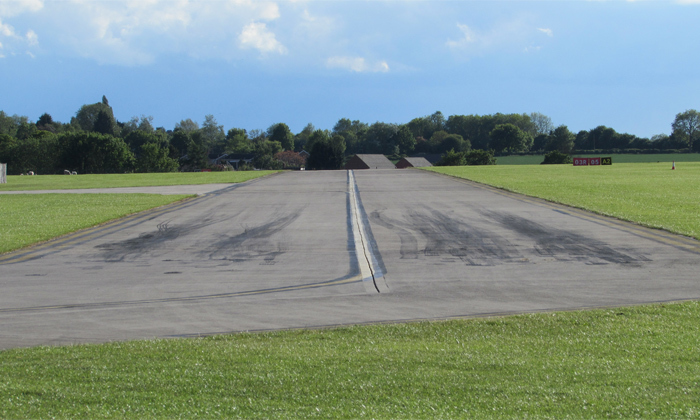 The TN72 using TABS is ideal for certified gliders and Part 23 aircraft, operating outside of U.S. 2020 rule ADS-B airspace as a means of enhancing visibility and triggering traffic. Glider customers in the U.S. looking to get ADS-B equipped may wish to see our ADS-B gliding guidance document this highlights equipment and regulations, for both certified and experimental gliders. In Europe and other countries, where the use of ADS-B equipment is voluntary, then the TN72 TABS configuration is the best way to remain visible to other traffic. Installing a TN72 and suitable GPS antenna is a small price to pay for enhanced visibility and peace of mind. Suitable for experimental aircraft / gliders and light-sport pilots for 2020 compliance in U.S. The TN72 supports current and future air to air collision avoidance and situational awareness applications. This enhanced visibility can be useful for tracking club aircraft in real time – improving safety in the circuit and reducing the risk of air-to-air collision. The TA70 certified antenna is designed to compliment the TN72. In installations where a smaller antenna is required then suitable alternatives can be used, see our FAQ section. In countries where ADS-B airspace is mandated, operation in ADS-B airspace by certified types usually requires full compliance with TSO-C145 GPS technology, our TN70. TN72 X (SIL 3) U.S. – TN72 allows light-sport, home built and experimental aircraft to fly in U.S. 2020 rule ADS-B airspace. U.S. – suitable for voluntary use (including certified gliders and Part 23 a/c) for use outside of ADS-B 2020 rule airspace. Australia – approved for use in gliders & balloons. I fly in a certified aircraft in the US, can I use the TN72? In you are in North America and you wish to fly in ADS-B 2020 rule airspace then you will require full ADS-B compliance. You can use a TN70 GPS Receiver, which is TSO-C145 compliant. If you already have a GNS or GTN WAAS Navigator you can use this as a GPS position source with a suitable Class 1 Trig transponder (TT31 or TT22). If you only wish to fly outside 2020 rule airspace then the TN72 can be used. Can the TN72 really help in collision avoidance? Yes - The TN72 GPS was tested and evaluated as part of Project EVA, a European wide project EASA (SESAR) initiative to test ADS-B technology. Because the TN72 uses certified GPS technology it can be relied upon to provide dependable position reporting for collision avoidance. Unlike uncertified GPS units the TN72 will be visible to all ADS-B In equipped technology. Can the TN72 be used in Europe? Yes - EASA are keen to encourage pilots to equip with ADS-B equipment. The more pilots who equip with ADS-B Out equipment the greater the opportunity to reduce air to air collisions and improve safety. Can I use a small puck antenna with the TN72? "The TN72 is compatible with any GPS antenna approved to ETSO C 190 or C144a. - Gain of 20dB or more. - Active 5 volt powered unit with less than 40mA current. - Unrestricted view of the horizon. 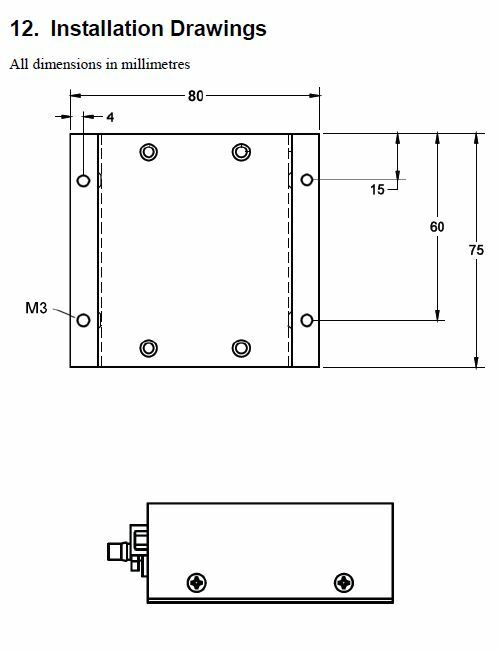 Note - the antenna socket of the TN72 requires a QMA connector or use of a suitable adaptor. Yes - the TN72 is a certified product but it is permissible to use an uncertified antenna in combination with the TN72. Naturally the performance of an uncertified antenna should be checked after installation to ensure satisfactory operation. I already use an ADS-B In traffic receiver - why do I need a TN72? Many pilots have ADS-B In traffic receivers, but it is important to also have a certified Mode S and ADS-B Out solution. A Trig transponder and TN72 provides a high quality output which is visible to all ADS-B In traffic products. In contrast using an uncertified GPS will make you invisible to certain popular traffic receivers which reject uncertified GPS traffic information. Can I use a TN72 X GPS outside of the U.S. ? At the current time the use of a TN72 (configured to SIL3) is for light-sport and experimental types (including experimental gliders) in the U.S. This configuration should be avoided elsewhere as TABS is appropriate transponder setting in Europe for both gliders and powered aircraft. At the current time the TN72 can be used for gliders, balloons and lighter than air types in Australia. In New Zealand, regulators are considering if TABS technology might be suitable for other types. A decision on future ADS-B policy for GA and TSO-C199 equipment use is under review.